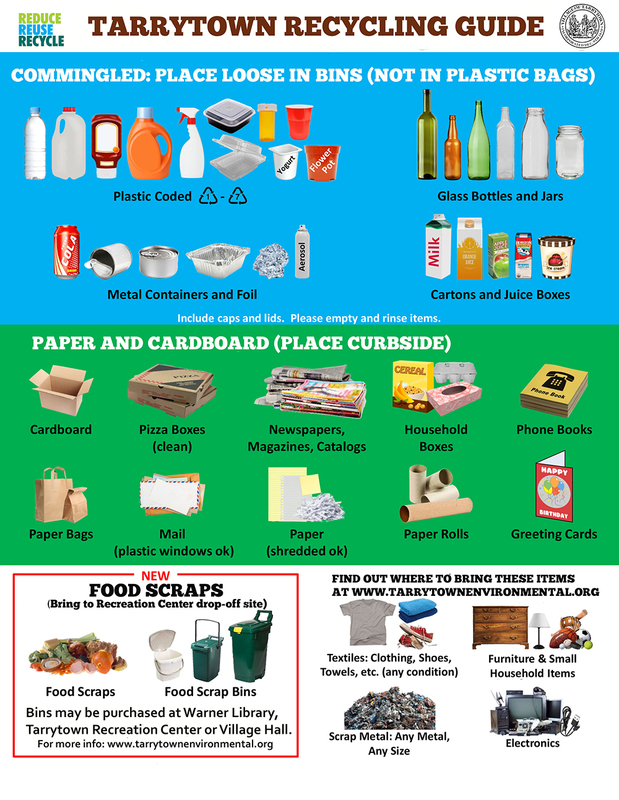 Print our recycling guide for Tarrytown, and stick it to your fridge. Tarrytown Environmental Advisory Council has created this handy reference to what’s recyclable — and what’s not — in Tarrytown and Westchester County. Download the guide by clicking on the link below. Then print the PDF out on your printer at home, and post it where you’ll see it. We’ll have an “FAQ” section on this website to clear up some areas of confusion (teabags in the food scrap bin? Spray bottles in the plastic recycling?). And if you have any questions, feel free to contact us. We’ll see what we can find out for you.